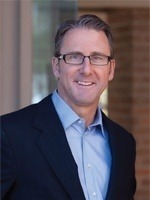 Rusty Turner is the President and CEO of Turner Real Estate Investments and Founder of Turner Development Corporation. Since founding his development firm in 1979, Mr. Turner has directed the development and acquisition of nearly 8 million square feet of commercial and industrial real estate and the development of 400 acres of raw land into master planned business communities. Today, Mr. Turner guides Turner Real Estate Investments asset acquisition strategy, drawing upon more than thirty-nine years of experience to select the right location, product type, and product design to ensure a successful project and investment. Mr. Turner resides in Newport Beach, California with his wife. Mr. Turner received a degree in business from the University of Southern California. Sean A. Sheward is Executive Vice President and Chief Investment Officer of Turner Real Estate Investments. 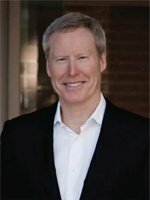 Mr. Sheward joined Turner Real Estate Investments in 1998 and has been integrally involved in each aspect of the firm's operations and success including strategic planning, new deal origination, capital sourcing and structuring, investor and bank relations, project management and asset management. From 1994 to 1998, Mr. Sheward was a project manager for Pacific Bay Homes, a homebuilding subsidiary of the Ford Motor Company. Mr. Sheward is a graduate of The Wharton School at the University of Pennsylvania (M.B.A. in real estate and finance) where he received the William Zucker Award for Outstanding Scholarship in the field of Real Estate. Mr. Sheward began his career as a commercial real estate lender at Wells Fargo Bank after receiving his undergraduate degree in real estate finance from the University of Southern California. He resides in Newport Beach with his family. 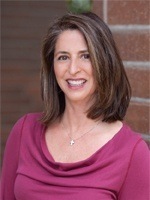 Christy Clow is the Director of Asset Management and Construction for Turner Real Estate Investments. Ms. Clow joined the firm in 1987 and has been involved in every aspect of the development process, constructing over 150 buildings, totaling nearly 5,000,000 square feet. Because of her extensive construction knowledge, Ms. Clow is responsible for assessing the construction quality of submitted properties and preparing budgets to refurbish and reposition the assets. After acquisition, Ms. Clow oversees the leasing activity and works closely with the brokerage community to ensure that the properties are positioned properly in the market. Prior to joining Turner Real Estate Investments, Ms. Clow served as a construction manager for Carver Development, and also was responsible for supervising the construction of tenant improvements for Equidon Construction. Ms. Clow received her undergraduate degree from the University of California, Irvine. Susan Drummy has been involved in Turner Real Estate Investment's strategic financial planning and oversight of daily operations since 1987. At Turner Real Estate Investments, Ms. Drummy is responsible for project and corporate cash flows, budgeting and all aspects of accounting and reporting. In this role, she works closely with the company's lenders, partners and professional consultants. She is involved in new acquisition due diligence with the review of environmental, historic and current financial data and works to acquire new financing on the projects. 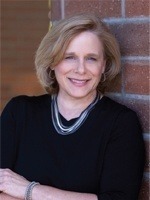 Ms. Drummy received her undergraduate degree from California State University, Fullerton. Susan resides in Tustin with her husband. 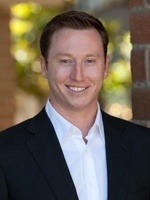 As Director of Leasing and Marketing for Turner Real Estate Investments (TREI), Kent Turner is charged with maximizing asset value across the TREI's investment portfolio by working strategically and collaboratively with the firm's broad network of outside brokers to ensure 100% lease-up of all properties. He comes to the company following a successful tenure at Voit Real Estate Services in Ontario, California, where he represented landlords and tenants within the industrial, office and flex tech sectors. Now, he brings his extensive commercial real estate sales and leasing experience and strong network of broker relationships to Turner Real Estate Investments. Turner is a graduate of the University of Southern California, a member of NAIOP-SoCal, and currently resides in Costa Mesa with his wife, son and two daughters. 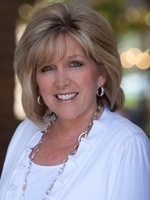 As the Property Manager for Turner Real Estate Investments, Ms. Westland manages owners goals, tenant expectations, and vendor contracts at over 300,000 square feet of industrial properties in Southern California. Prior to this, she provided support throughout the purchase, sale and development process as an Assistant Project Manager for TREI, including actively engaging in all escrows through their completion. Ms. Westland is a graduate from the University of Southern California and is currently a member of PEO and Town and Gown of USC. She resides in Mission Viejo with her husband. © 2019 Turner Real Estate Investments. All Rights Reserved.